Despite China’s roaring growth and status as the world’s second largest economy, it’s currently in the midst of a complex currency crisis that revolves around the valuation of the yuan. Donald Trump says China is manipulating its currency, threatening multiple times to hold them accountable. But Chinese officials are choosing to ignore him. In fact, they just made another currency move that will likely make Trump very unhappy. Donald Trump has accused China time and time again of massaging the yuan for better positioning in the global economy, but it’s been hard for him to build a rock solid case. China’s latest maneuver, however, certainly adds credibility to his argument. Immediately into the new year, China took steps to sever the yuan from the rest of the world’s currencies and grant more direct control to its own economic officials. Even before this recent move, China has refused to allow global markets set the value of its currency. Instead, they use a system in which their own economic officials determine the value of the yuan based on a basket of other global currencies. Using the value of those other currencies, they determine an “appropriate” value for the yuan. Here’s the kicker: China is now changing that basket to include a wider assortment of global currencies, thus reducing the impact the U.S. dollar has on the yuan. Bad News for the U.S.
“This is unambiguously bad news for the United States,” High Frequency Economics Chief Economist Carl Weinberg said in a note to clients Tuesday. 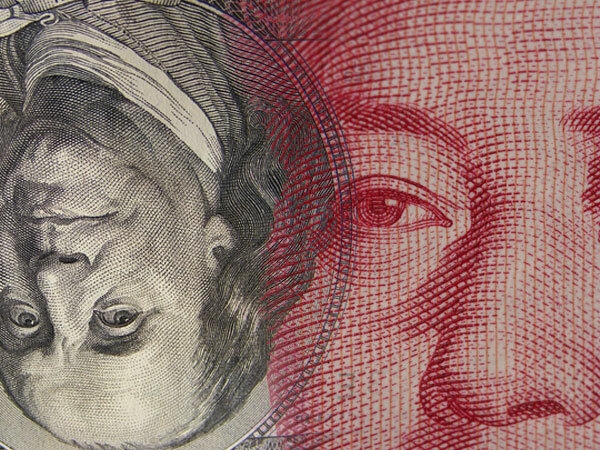 Weinberg argues that the new weightings will put added downward pressure on the yuan relative to the dollar, while making China’s currency more attractive to investors and trade partners using currencies other than dollars. “This is not the turn of events the Trump administration is hoping for,” he wrote. A weaker yuan makes Chinese exports more competitive in the global marketplace while making American exports more expensive and less competitive relative to the same Chinese-manufactured goods. Trump has threatened retaliation through tariffs on Chinese imports (to increase their cost and bring them closer to parity with American-made products), but it remains to be seen if he’ll follow through. What we’re seeing here could be the beginning of an extended trade war between China and the U.S. Precious metals are already reacting strongly to it with gold prices having climbed almost instantly on the news, and now flirting with 4-week highs. If Trump stays true to his word, we can expect trade relations to deteriorate further when he takes office in just two short weeks. And judging from the market’s response so far, the mini gold rally we’re currently seeing might be just a minor blip compared to what’s ahead.